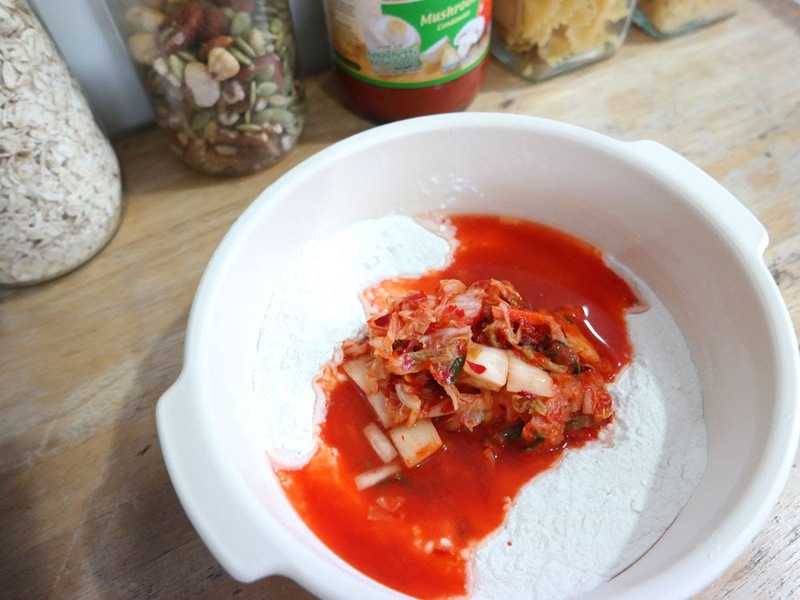 Chop up the kimchi into small bits for a smoother pancake or leave them in bigger squares for bigger bites. 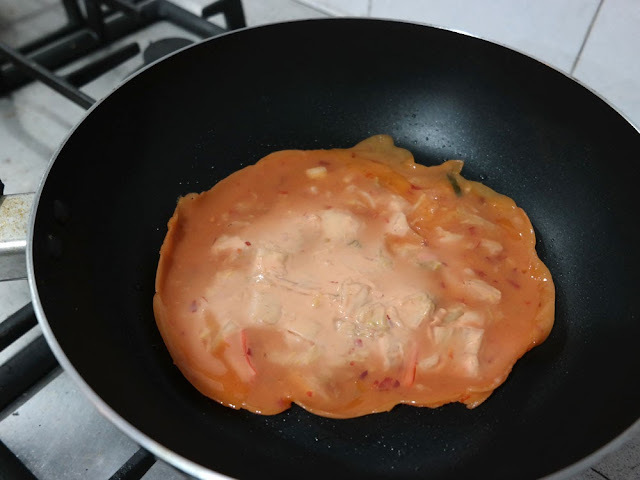 I have drained some kimchi juice to be mixed into the batter for extra flavour. 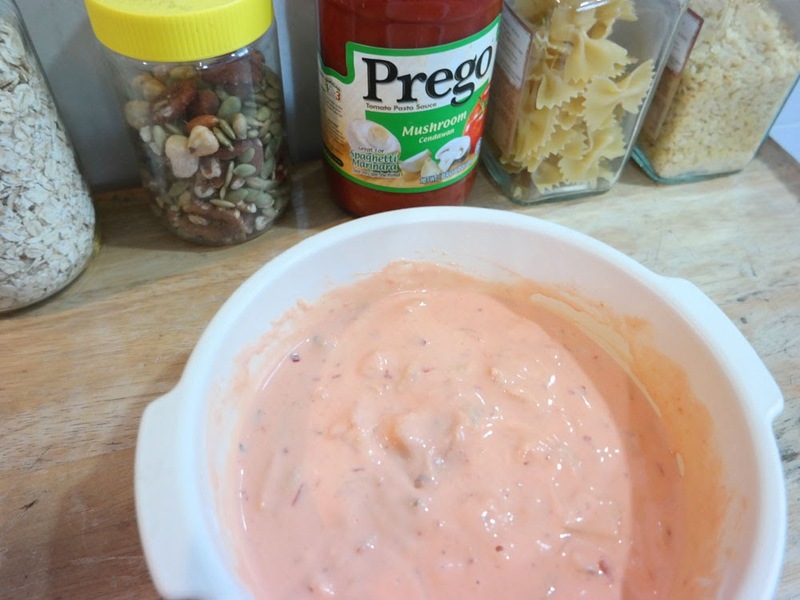 Throw all the ingredients into a bowl and mix. Add water to your preference. If you like thicker pancakes, use less water but it'll be harder to spread. 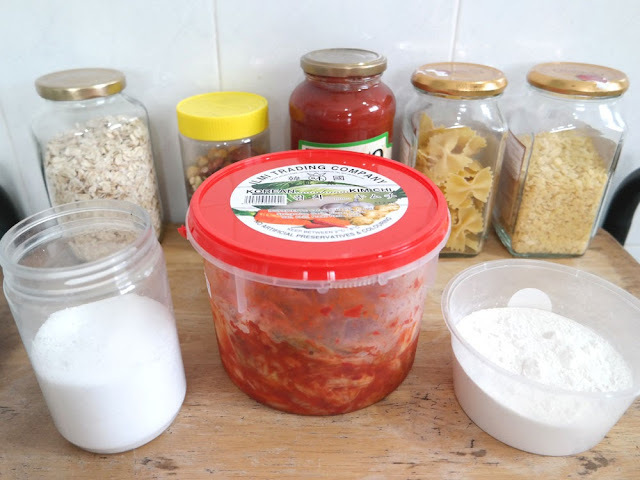 If you're using bigger kimchi pieces, I would recommend you to use more water. 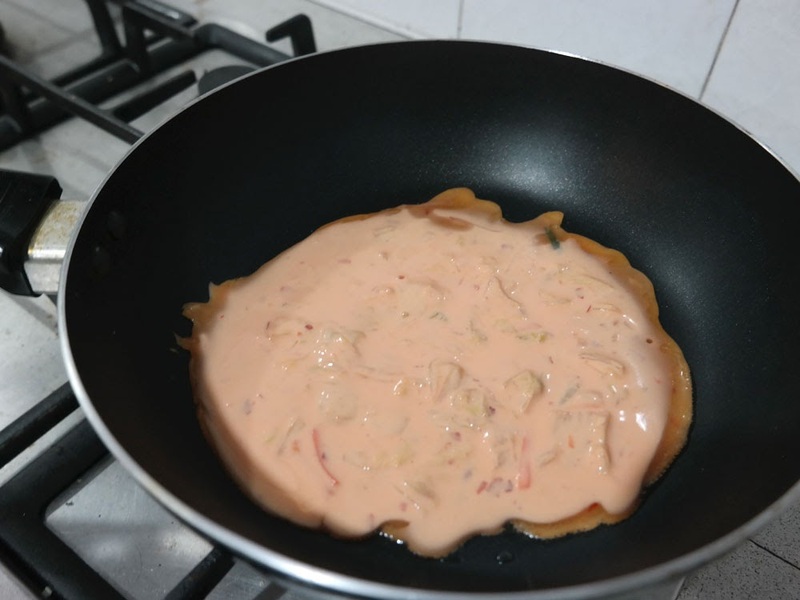 Oil your pan and pour enough batter to cover the bottom. Immediately swirl your pan to try and even it out. You know the pancake's ready to flip when..
Flip! If you're new to flipping, try with smaller pancakes or wait til it's more cooked as a sticky pancake flipped onto the floor will be a mess. After a minute or so, I like to flip it back for 30 seconds to get this nice slightly brown colour. This way, your pancake will have a soft chewy middle but crispy edges! Ta-da! 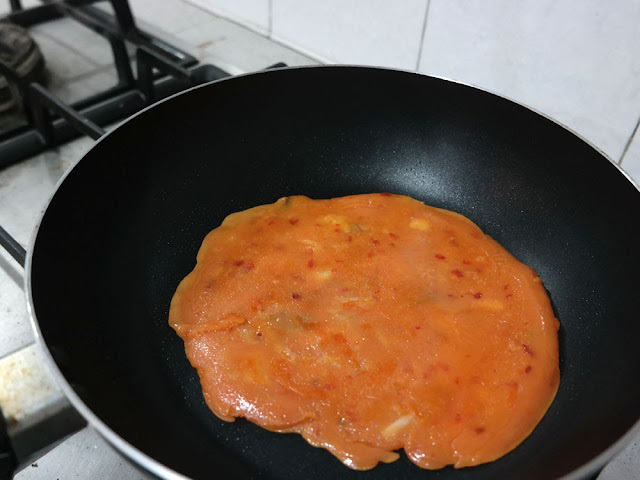 You've successfully made the basic kimchi pancake. You can add other ingredients as you like such as pork slices, scallions and onion. See related article on choosing the best sauce pans. Yummy! I make this sometimes when I'm craving after watch kdrama. Thanks for the recipe! Always wanted to try making it myself. Ok, i did not know its was this easy...got to try it out!..thanks dear! wow another new variation to kimchi dishes. would love to try it out, seems like quite easy to make also. omg one of my fave korean food! shall give it a try soon!! Been seeing you posted food in your facebook! Looks easy to do too, I shall try it at home next time! Nice try, I wish that you can have another post about homemade Kimchi as well!! Because I love kimchi so much!. Thanks for sharing the recipe. I believe Korean foodie will definitely love this. Good recipe! I would try out too. 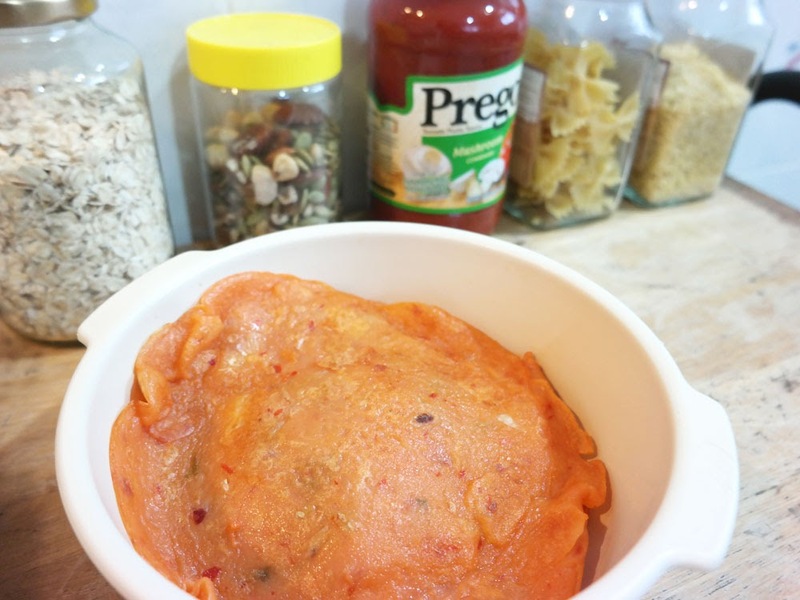 Not a fans of kimchi but it seem simple to make it. 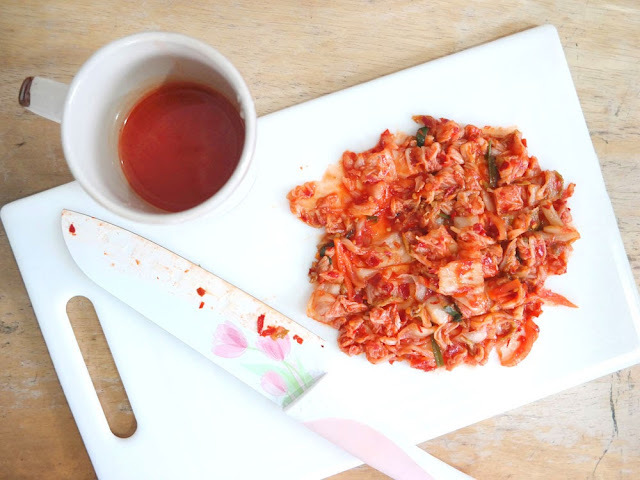 Great recipe for those kimchi fans. Thank you for the recipe. Now can try to cook for buka puasa. 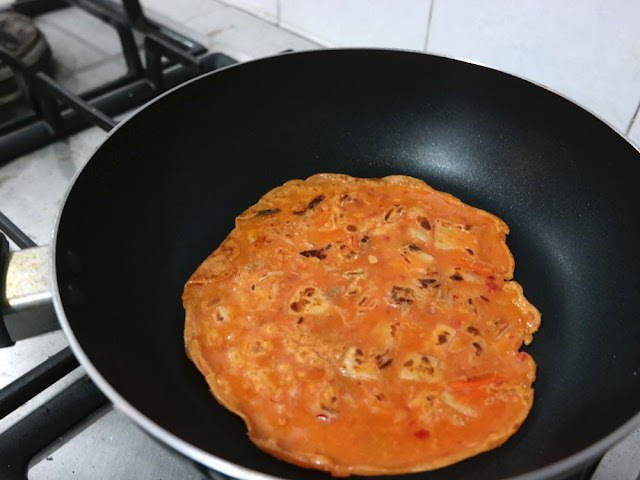 Wow, is easy to make Kimchi Pancake after seeing your recipes. Have to try it out. thanks for sharing. Wow that's pretty easy and simple. I like kimchi very much going to try this during the weekend.